AU Degree 1st Sem Results 2018: Andhra University has released the AU Degree 1st year 1st sem results Nov 2018 at aucoe.info, manabadi.com. Students who have appeared for Degree 1st Sem BA, B.Com, B.SC Regular and Supplementary examinations in the months of November/December can check the AU Degree 1st semester results which will be announced by the Andhra University. Students can also check their marks and grade obtained by them. The AU is going to publish the 1st Sem November 2018 Results course-wise, branch-wise, for the students. Hence students can easily navigate to the course and their branch on the result page of AU. By going to the corresponding link, click on it and enter your register number, and other details to download the results. For more information, students can visit the Andhra University official page, andhrauniversity.edu.in. Andhra University was situated in Kakinada, Visakhapatnam, Andhra Pradesh. The AU is one of the oldest universities of Andhra Pradesh State. It was formed in the year of 1926 and offering its enormous services in the education sector. AU is named for quality syllabus and exam structure. The AU is named of quality education and standard in its curriculum. The Andhra University offers 58 different courses, and it has 15 departments. Various Graduate Degree, Post Graduate Degree, and professional degree courses for the aspirants. The Andhra University has conducted the AU Degree 1st Year 1st Semester examinations for various graduate degree courses for various graduate degree courses such as BA, B.Com, B.Sc, BBA and other courses in November 2018. Students who are pursuing the Graduate degree courses 1st Semester have appeared for the CBCS Examination as per the schedule. All the students appeared for the examinations can now check their result from the AU results website. Check the following process to download the results. The Andhra University Degree result, marks, appears on the screen. 1. The marks statements of the regular candidates are being sent to the principals of the concerned colleges. the candidates are directed to collect their marks statements from the concerned principals on or after 10-02-2019. 2. The marks statements not to be issued locally i.e., in the central administrative office, andhra university, visakhapatnam. 3. 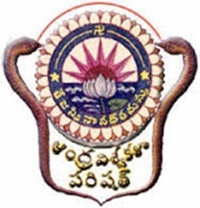 The candidates of andhra univeristy affiliated degree colleges who are desiring of re-valuation of their valued answer scripts are required to apply in the prescribed revaluation format along with re-valuation fees i.e., rs.750/- (rupees seven hundred and fifty only) in respect of each script of b.c.a.i year (first semester) and hand over them to the concerned college principal where they have studied on or before 20-02-2019. the penalty imposed for the re-valuation applications after the last date upto one week is rs.500/(rupees five hundred only) per each subject and the penalty imposed for the re-valuation applications after one more week is rs.1500/-(rupees fifteen hundred only) per each subject. the specimen hand-writing of the candidate separately for each answer script to be re-valued shall be enclosed to re-valuation application. the candidates applying for the re-valuation need not wait for the re-valuation results and have to appear for the next examination as per the eligibility. 4. Ordered that for issuing of photocopies of answer scripts an amount of rs.1000/-(rupees one thousand only) be collected for each script in case of ug courses within 15 days from the date of publication of results and an amount of rs. 1500/-(rupees fifteen hundred only) after 15 days of publication of results and within one year per each subject per each candidate. The candidate be required to apply for photocopies of answer scripts within 15 days from the date of publication of results and after receiving the photocopy he /she may be permitted to apply for revaluation within 5 days if the candidate so desires. 5. The results and marks statements/certificates issued will be cancelled at any time if the information furnished by the candidate in the examination application is found incorrect and if he/she has been debarred by the university earlier and under the period of rustication i.e., debarred period. 6. Any discrepancy in the result published and the marks statement issued should be brought to the notice of the controller of examinations within 15 days from the date of publication of the results through the principal concerned for rectification. 7. Any complaint, representation, appeal, legal suit for redressal of examination related grievance shall be submitted within 90 (ninety) days from the date of publication of the result. all legal suits against the university shall be filed in courts within the jurisdiction of visakhapatnam city only. 8. Duplicate marks statements will not be issued within 30 (thirty) days from the date of publication of the results. Ma students demand chesina request chesina at last meru fix ainapudey release chestharu kadha so at least why dont u inform us..??? That is the only thing u can do kadhaa !! Please kindly inform us about results soon ..!! Some reasons are behind delaying results. So please try to know them. Warnings,requests vatimundu pani cheyavu. 2nd sem aipoyina tharuvatha aina release cheyandraa babuuu…. Eee exams paina concentrate chestham.